We have recently launched our new free app for the iPhone. 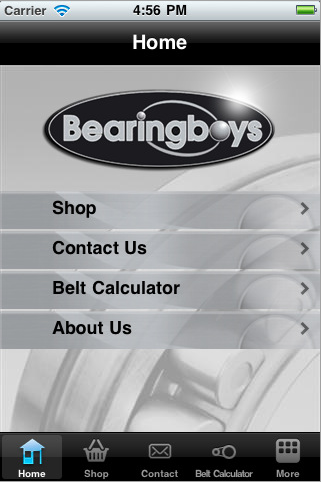 The Bearingboys App will enable users to conveniently use the online Bearingboys shop, whenever and wherever they desire with their iPhone. 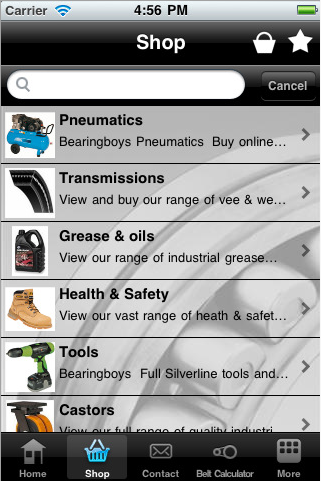 This application will offer a wide range of products as does our online store, including items such as adhesives, bearings, castors, electric motors, grease and oils, health and safety products, plastics, pneumatics, tools and transmissions. In particular, our bearings range is one of the best and this is reflected in the application. Choose from Oilite, roller, needle roller, self-aligning & rod ends bearings, as well as other related items like bearing tools, oil seals, O-rings and shaft collars. So, whatever you find on our internet site you will find on our app! For further information about our app click here to visit the iTunes website.